Inktober for October 12th – Showing inks old and new. 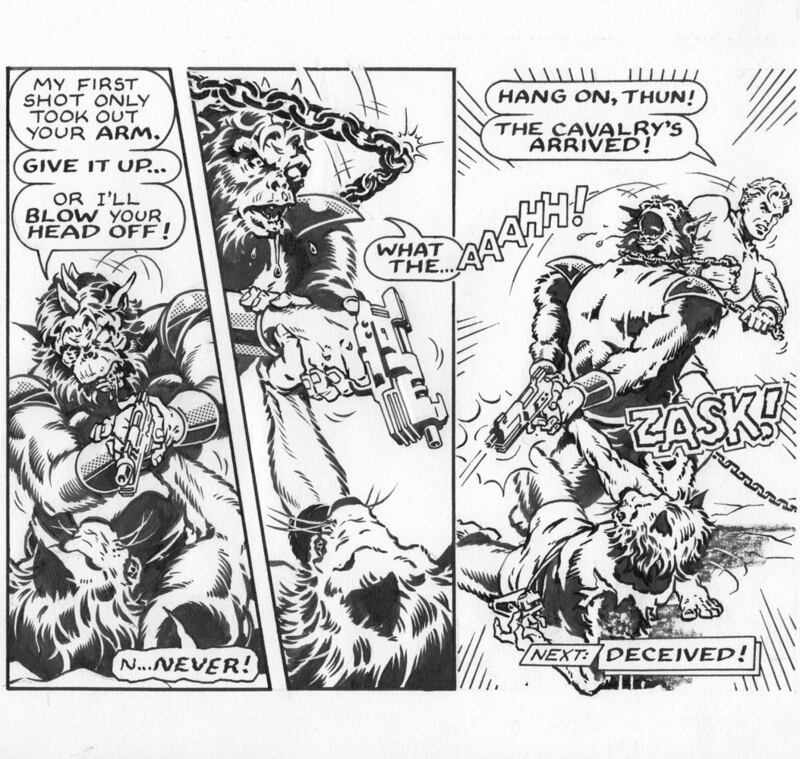 This is a close-up of a few panels from a Flash Gordon Sunday page done back in the day. This one is from March 1, 1998. Old school Zip-A-Tone used on the ape creature’s metal bracelets. Also some dry brush used in the shadow in the last panel. Photo reference was crucial in getting the figures in the ballpark. This entry was posted in Flash Gordon and tagged Flash Gordon, Inktober, Pen and Ink. Bookmark the permalink.